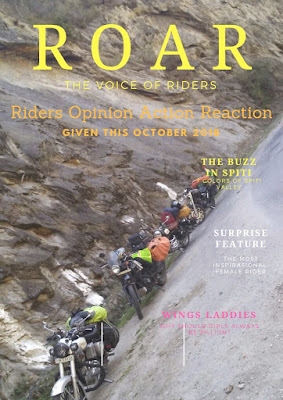 As the name suggests, its an all India level on road campaign using the mode mode of communication as ride. 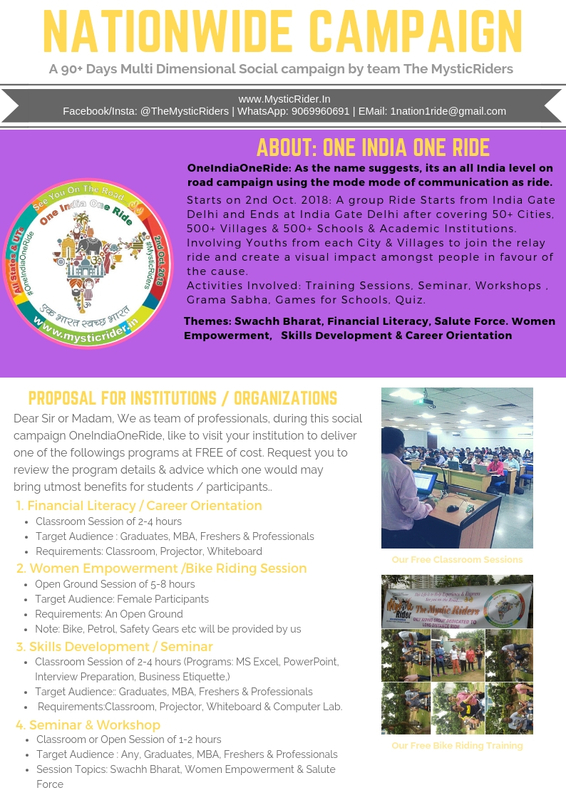 Starts on 2nd Oct. 2018: A group Ride Starts from India Gate Delhi and Ends at India Gate Delhi after covering 50+ Cities, 500+ Villages & 500+ Schools & Academic Institutions. Involving Youths from each City & Villages to join the relay ride and create a visual impact amongst people in favour of the cause. Activities Involved: Training Sessions, Seminar, Workshops , Grama Sabha, Games for Schools, Quiz. Themes: Swachh Bharat, Financial Literacy, Salute Force. Women Empowerment, Skills Development & Career Orientation.